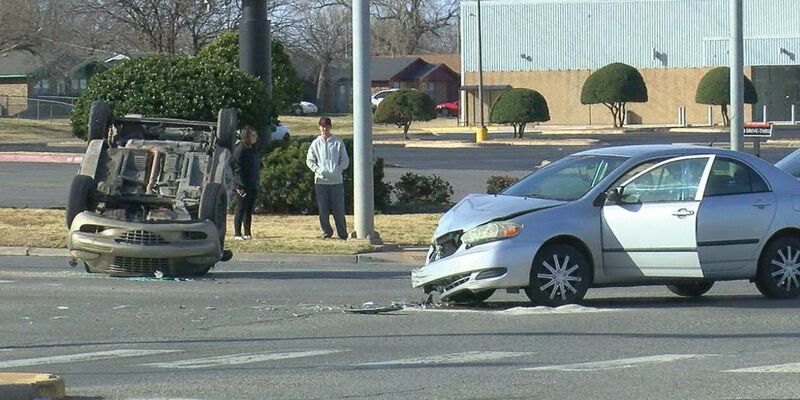 A rollover accident happened just after 10 this morning in Lawton at the intersection of 11th and Lee. LAWTON, OK (TNN) - A rollover accident happened just after 10:00 a.m. Sunday morning in Lawton at the intersection of 11th and Lee. According to officials, the silver sedan traveling east on Lee ran the red light and collided with tan PT Cruiser causing it to roll. Police said the crash was minor and fortunately no one was injured. The driver of the sedan was issued a citation for disregarding the red light.